Jamie's 30 Minute Meals is a TV show on Australian national television from Ten with an average rating of 3.4 stars by TVCatchUpAustralia.com's visitors. We have 20 episodes of Jamie's 30 Minute Meals in our archive. The first episode of Jamie's 30 Minute Meals was broadcast in January, 2018. Did you miss an episode of Jamie's 30 Minute Meals but don't you wan't that to happen in the future? Please set an alarm and add Jamie's 30 Minute Meals to your favourites, so we can remind you by email when there's a new episode available to watch. Completely free: handy! If you have hungry mouths to feed after a long day, then allow Jamie to introduce you to a revolutionary way of cooking. What you'll be able to achieve in 30 minutes will absolutely blow your mind! It's Jamie Oliver's Food Revolution Day so allow Jamie to introduce you to a revolutionary way of cooking. What you'll be able to achieve in 30 minutes will absolutely blow your mind! 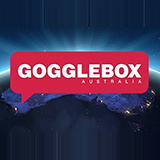 GoggleboxGogglebox Australia is the Australian version of the hugely popular British television show with the same name. Sometimes referred to as a fly-on-the-wall show, the concept of the show, simply put, is "watching people watch TV". Bachelor In ParadiseCatch up on Bachelor In Paradise and watch online. 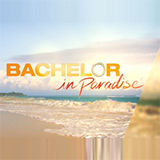 Find the latest episodes of Bachelor In Paradise, broadcast by Ten. Dancing With The StarsCatch up TV on Dancing With The Stars. Watch the latest and all other episodes of Dancing With The Stars now online, broadcasted on 7Two. Catch up on your favorite 7Two TV show: Dancing With The Stars. 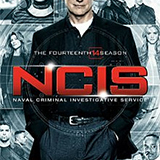 NCISCatch up on NCIS and watch online. 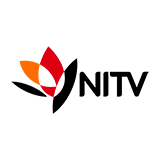 Find the latest episodes of NCIS, broadcast by Ten.